I'm actually looking forward to Black Lightning premiering on The CW on Tuesday, January 16th. "Jefferson Pierce is a man wrestling with a secret. Nine years ago, Pierce was gifted with the superhuman power to harness and control electricity, which he used to keep his hometown streets safe as the masked vigilante Black Lightning. However, after too many nights with his life and his family on the line, he left his Super Hero days behind. Almost a decade later, Pierce’s crime-fighting days are long behind him…or so he thought. 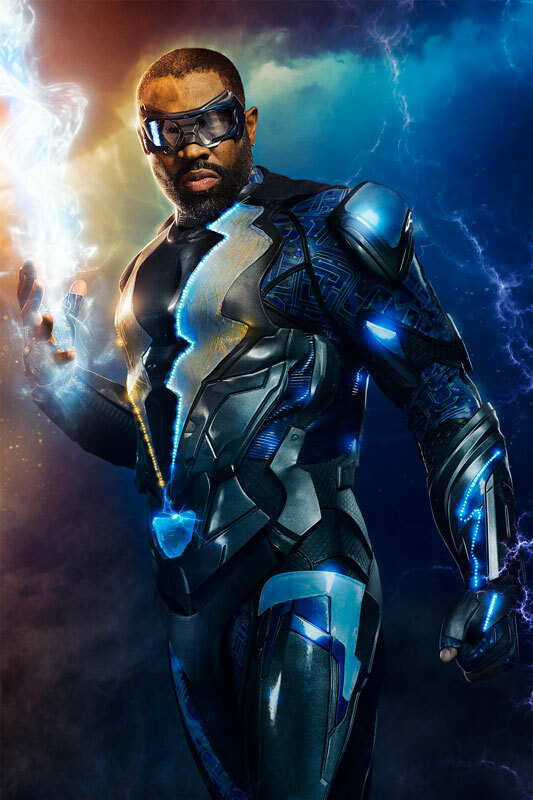 But with crime and corruption spreading like wildfire, Black Lightning returns — to save not only his family, but also the soul of his community." The bad guy looks wonderfully nasty, our good guy is someone I like to watch. Starring Gregg Henry, William Catlett, Cress Williams and more, we'll see how things pan out, though I have to admit, the amount of support the show does not seem to be getting is interesting. Looking at IMDb, you would think the lead character would be the top-billed actor, but he's not. So maybe it's more than just a Black Lightning show. Or they're being lazy. Which is a bad sign. Though I can't imagine that they'd be lazy with a new series. Check out the previews below, plus one extra little "suit up" video from the CW touching on all their hero shows. It has a few 'cute' moments in it.